Welcome to the Baladerry Inn in Gettysburg! Gift Certificates are available all year. Learn about our romantic Special Packages. All rooms include a full country breakfast. The Baladerry Inn is an ideal choice for your visit to historic Gettysburg and the surrounding area in Pennsylvania’s Adams County. One of the most historic inns in Gettysburg, the original home was built in 1812. 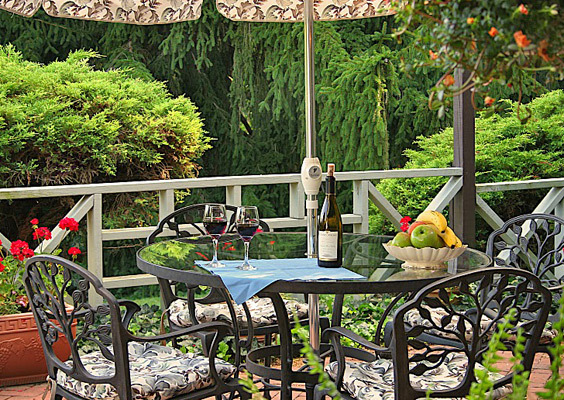 With its unique country setting at the edge of the battlefield and close proximity to the restaurants and attractions in town, the Baladerry Inn offers Gettysburg’s most charming blend of comfort and convenience. Open year round, the property features spacious landscaped grounds, romantic terraces, a majestic great room, and finely furnished and tastefully appointed guestrooms, all including private baths and free wi-fi access. Our guests also enjoy a full country breakfast each morning. 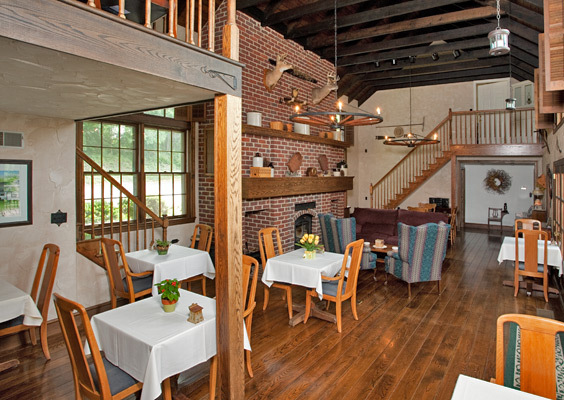 The inn is rated and approved by the Forbes Travel Guide (formerly Mobil Travel Guide) and AAA. Please accept our invitation to make the Baladerry Inn your lodging choice in Gettysburg. 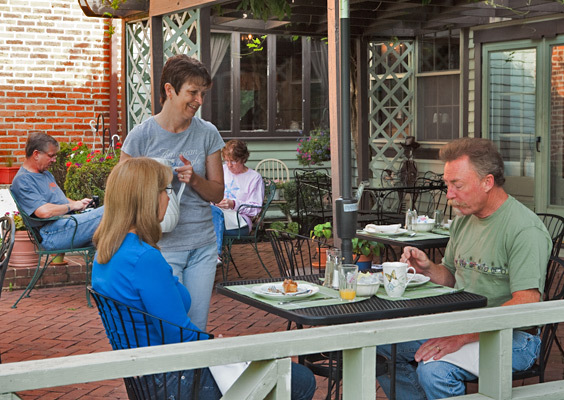 Our full country breakfasts only rival our guestrooms and facilities in popularity. Breakfast is served both in the Great Room and, in season, on the terrace, you may arrive for breakfast, between 8:00 and 9:00 AM. The dining area features individual tables. The breakfast selections vary from day to day. One example of our delicious breakfasts features Baked Heavenly Peaches, Stuffed French Toast with Honey Orange Butter Sauce and Sausage, and Blueberry White Chip Muffins. Another features Warm Fruit Compote, Baladerry Benedict, and Sour Cream Streusel Coffeecake. Yet another features Dreamsicle Oranges, Homemade Egg and Bacon Filled Crepe Topped with Melted Cheddar Cheese Mixed with Toasted Onion and Fresh Chives, and Pecan Pie Muffin. Coffee, tea and juices are always included, of course. Complimentary hot and cold drinks are available 24 hours a day. Special meals for guests with allergies and dietary needs will be accommodated. Just let the innkeeper know at time of check-in.